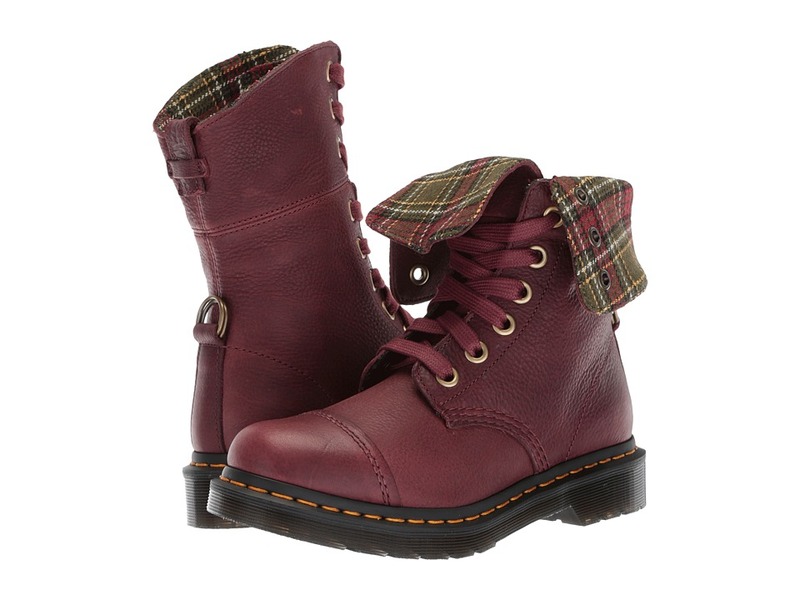 Make your way through the asphalt jungle in the Dr. Martens Bart 10-Eye Boot. Equipped with a classic silhouette, this cap-toe men~s ankle boot goes the extra style mile with a subtly grained leather upper, goldtone, reinforced eyelets and a fold-down collar that reveals a tartan-print lining for fun fashion flair. Hidden Goodyear welt construction offers flexibility and weather-resistant durability in a clean, sleek package. The Dr. Martens Bart 10-Eye Boot has a cushioned footbed for supportive comfort and is finished with a signature air-cushioned PVC sole to keep you feeling as sprightly as you look. 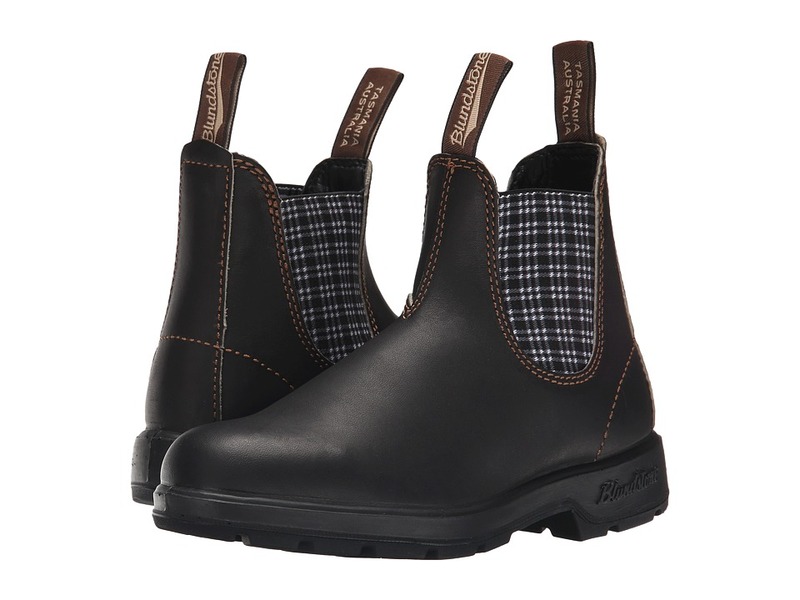 The Blundstone BL1463 boot adds a touch of Scottish style with its fun tartan pattern detail. Part of the Original 500 Series. Premium leather upper with navy tartan patter on side gore panels. Twin-needle reinforced stitching with a high tensile strength thread. Sturdy front and back pull-on tabs. Elastic gore side panels retains its shape. Poron XRD in heel strike zone for superior shock absorption. Synthetic leather and textile lining. Removable footbed for adjustable comfort. PU midsole for superior cushioning and comfortable wear. Thermo urethane outsole provides improved resistance to hydrolysis and microbial attack. Imported. Measurements: Heel Height: 1 in Weight: 1 lb Shaft: 5 in Platform Height: 1 2 in Product measurements were taken using size AU 3 (US Women~s 6), width Medium. Please note that measurements may vary by size. Weight of footwear is based on a single item, not a pair. 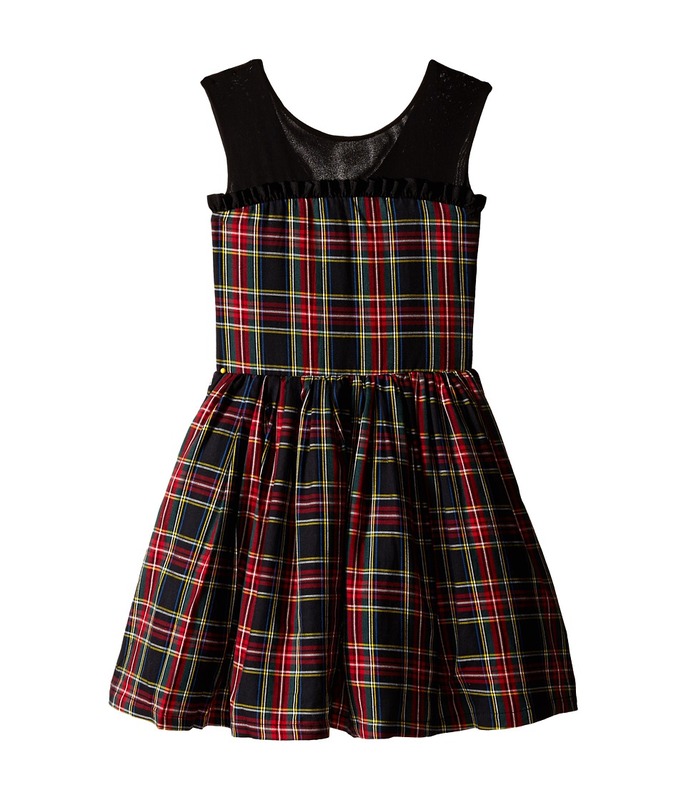 She~ll look prim, proper, and ready to party in this Winter Tartan Party Dress. Beautiful fit-and-flare dress flaunts an eye-catching plaid print throughout. Mesh illusion neckline. Sleeveless design. Ruffled detail at chest gives this dress a fun layered look. Zipper closure at back. Straight hemline. 100 percent cotton Lining: 65 percent polyester, 35 percent cotton. Hand wash cold, line dry. Made in the U.S.A. and Imported. Measurements: Length: 26 in Product measurements were taken using size 10 Big Kids. Please note that measurements may vary by size. These Pendleton Flannel Shirts are perfect for adding a contemporary touch to your look. 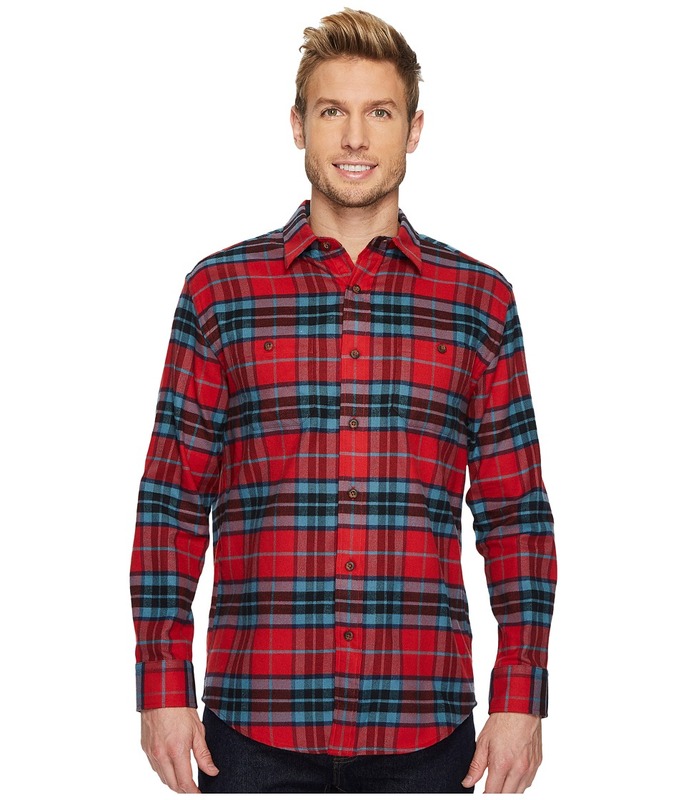 This handsome shirt is crafted from a soft flannel knit with a timeless plaid design throughout. Spread collar. Long sleeves with buttoned cuffs. Elbow patches at sleeves. Button-through chest pockets. Full button-down front closure. Straight back yoke with side pleats. Shirttail hemline. 100 percent cotton Trim: 100 percent polyester. Machine wash, tumble dry. Imported. Measurements: Length: 32 in Product measurements were taken using size MD. Please note that measurements may vary by size. 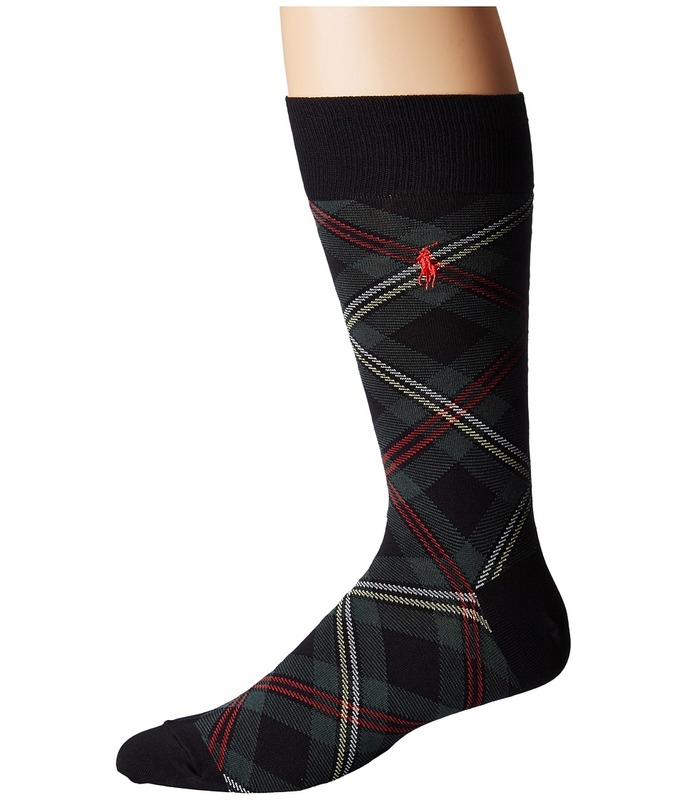 A charming touch to finish off your look, the Single Premium Tartan socks. Sold as a one-pair pack. Crew-cut style sits at the calf. Ribbed cuff. Embroidered logo detail at side. 61 percent cotton, 34 percent nylon, 1 percent spandex and 4 percent other fibers. Machine wash cold, tumble dry low. Imported. 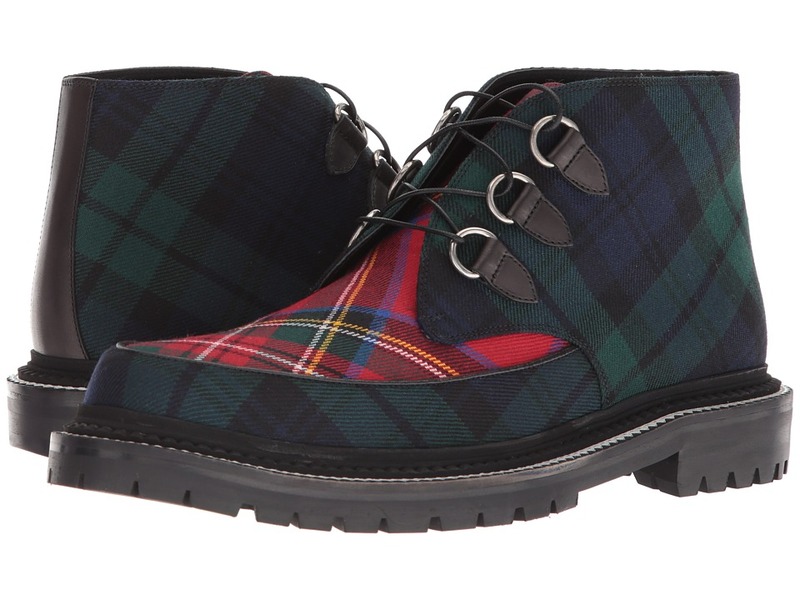 Leather and tartan print upper. Lace-front closure with D-ring eyelets. Round-toe silhouette. Smooth leather lining. Lightly padded leather insole. Contrasting stitching at the midsole. Rubber lug outsole. Made in Italy. This item may ship with an attached security tag. Merchandise returned without the original security tag attached or a damaged tag may not qualify for a refund. Measurements: Weight: 1 lb 10 oz Shaft: 4 1 2 in Product measurements were taken using size 44 (US 11), width D - Medium. Please note that measurements may vary by size. Weight of footwear is based on a single item, not a pair. 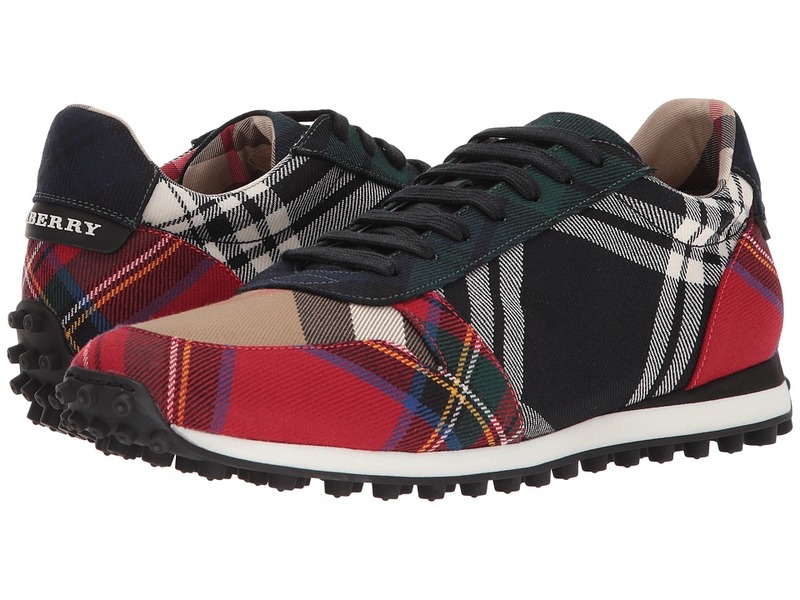 Tartan printed sneaker. Lace front closure connected through reinforced eyelets. Round-toe silhouette. Smooth textile lining. Lightly padded insole with embossed logo. Textured synthetic outsole. Made in Italy. This item may ship with an attached security tag. Merchandise returned without the original security tag attached or a damaged tag may not qualify for a refund. Measurements: Weight: 15 oz Product measurements were taken using size 45 (US 12), width D - Medium. Please note that measurements may vary by size. Weight of footwear is based on a single item, not a pair. 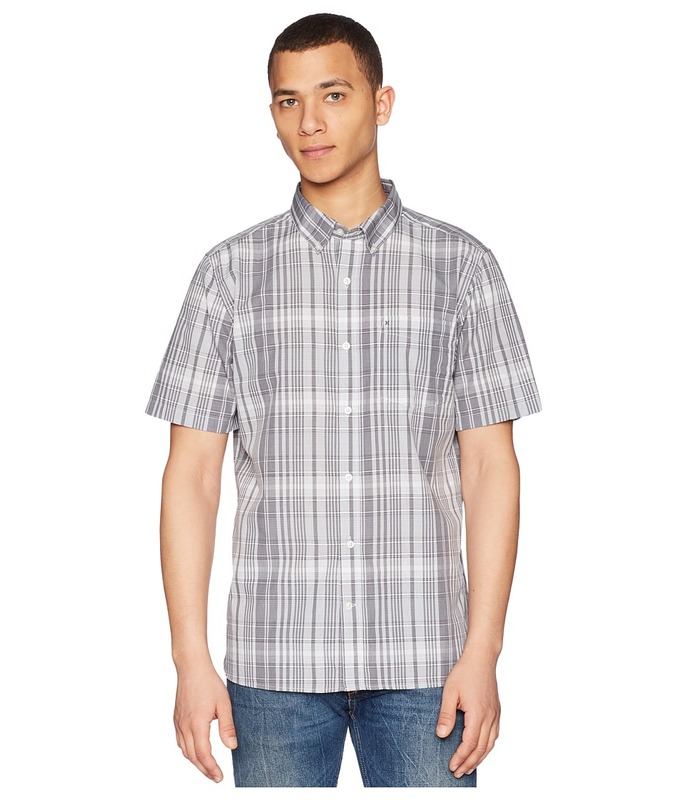 The Hurley Dri-Fit Johnny Short Sleeve Woven T-shirt will become your everyday go-to favorite. Regular fit is a casual, relaxed fit with comfortable range of motion. Dri-FIT high-performance fabric wicks perspiration away from the body and towards the surface where it can evaporate. Tartan plaid design. Button-down collar. Full button-front closure. Straight back yoke. Short sleeves. Patch pocket at left chest. Shirttail hemline. 60 percent cotton, 40 percent polyester. Machine wash, tumble dry. Imported. Measurements: Length: 32 in Chest Measurement: 20 in Sleeve Length: 14 in Product measurements were taken using size MD. Please note that measurements may vary by size.